Trout stocking photos: Key Club, March 25. Posted on April 3, 2017 by staceyanderton1	in Media and tagged Key Club, trout, trout season photo. Posted on April 15, 2016 by staceyanderton1	in Sports and tagged fishing, trout. All species of trout will be fair game for Pennsylvania anglers on April 16. At 8 a.m., all trout-stocked waters will be available for fishing, that is, if you can find a spot. The opening day of the season is notorious for attracting large crowds. Anglers gather around the freshly-stocked trout streams for an attempt to hook a rainbow, brown, brook, or the prized palomino trout. According to the Pennsylvania Fish and Boat Commission, 3,898,300 adult trout will be released in Pennsylvania’s running waters by Saturday, including 8,530 trophy (palomeno) fish. Woodcock Creek was stocked on March 26, and the next stocking will be on May 27. Wesley Prices holding his 19-inch palomino trout. On April 9, the fourth annual Mentored Youth Trout Day, hosted by the PA Fish and Boat Commission, attracted many kids and their mentors statewide. To be eligible, the youth must be 15 years of age or younger, have a $2.70 voluntary youth license or a free permit, and be accompanied by a licensed adult. The youth is permitted to keep two trout and they must be seven inches in length. Unlike last year, only the youth is allowed to keep trout, not the mentor. Freshman Wesley Price took advantage of the youth day and scored a 19-inch palomino trout. “It was the biggest trout I’ve ever caught,” Price said. Social studies teacher Mr. Adam Horne took his oldest son out fishing last Saturday, and he landed two. To cast your fishing line in Pennsylvania, you need to purchase a $22.70 fishing license along with any other special permits you desire. If you are planning to trout fish tomorrow, you will need to also buy a trout/salmon permit for $9.70. In order to trout fish any watershed of Lake Erie, however, you will need to purchase an additional permit that costs $9.70. The Fish Commission also offers a combination permit of trout/salmon/Lake Erie for $15.70. All species of trout must be at least seven inches long to keep, and the limit is set to five trout. Learning to trout fish takes time, finesse, and learning the tricks-of-the-trade. The basic skills needed to catch this cold-water fish are presentation, stealth, and practice. To present your bait to the trout, you must read the stream and determine the best trout-holding areas. Trout tend to stick to deep, slow moving water holes, so add some weight to your line and let your bait float naturally to the fish. Being stealthy means not letting the fish know you are there. Be quiet, and make no sudden moves, or you will startle the fish into not biting. Learning the best ways to entice the trout into biting can be difficult. Even the best trout fishermen in the world will not always catch them; they just have to be in the right mood to bite, and you have to be in the right place at the right time. When you’re out fishing tomorrow, those trout will be hungry! So get ready for tight lines. A #10 hook baited with a red worm, grub, minnow, salmon eggs, or power bait will be lethal. Many anglers choose to go to a more artificial approach and use spoons, spinners, flies, and jigs. So remember, don’t be afraid to fish away from the crowds and explore what Pennsylvania’s trout streams have to offer. Posted on April 15, 2015 by staceyanderton1	in Sports and tagged fishing, Pennsylvania Fish Commission, trout. The bait hits the water and SPLASH, the surface lights up and a trout launches out of the water into the air like a lion exploding from its cover to attack its prey. The spring run is on and in full swing. The ice has melted away, the creeks have swelled and the fish are in a frenzy. The creeks are stocked with everything from rainbow, to brown, to cut throat, to brook trout, and even lake trout in Lake Erie. Here we are, living everyday on the battlegrounds of some of the most renowned trout fishing territory in the nation. The state of Pennsylvania has a tremendous hatchery. 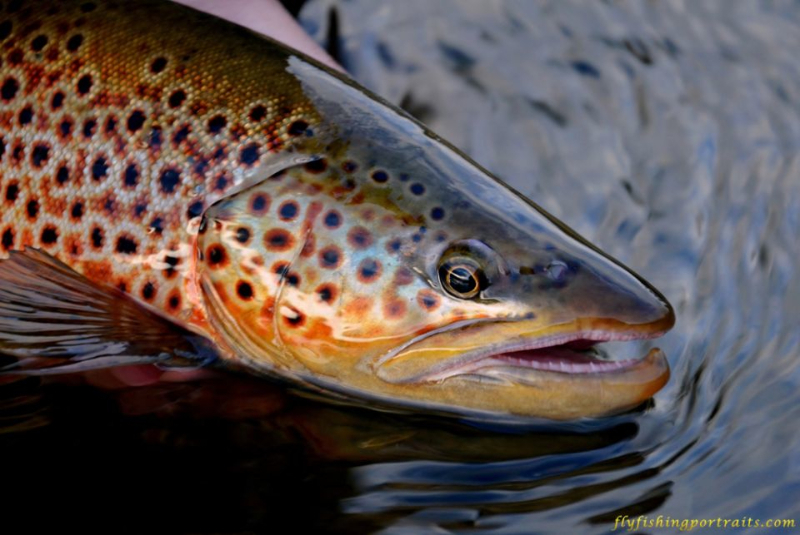 The Pennsylvania Fish Commission stocks many of our local creeks, including nearby Woodcock creek with brown and rainbow trout any time from last Saturday, to April 28. They will also be stocking Conneaut Creek from April 17, to May 6 with only browns. The season opens on April 4, in the Southeastern part of the state. The rest of the states season opens April 18. To fish for trout in Pennsylvania, you have to buy a normal fishing license for $22. Then you must buy a trout stamp for an extra $10. Keep in mind that in order to fish in any watershed of Lake Erie, you must also purchase an Erie stamp for another $10. That’s $42 for all three. So what does it take to fish trout? Well first, get up early to beat the crowds to the best holes. The first couple of weeks will be crowded, so if you beat the competition there, you have just increased your chances by tenfold. Second, fight nature. The air will be cold, the water will be high and muddy, and the fish may be on the bottom. Mr. Adam Horne, social studies teacher, advised, “You gotta put weight on it. The fish are down there, just put more weight on.” Third, use the right bait. Now, everybody and their brother will be throwing a maggot, or a worm, or a minnow on a hook. Don’t be afraid to mix it up. When the fish are at the hatchery, they are fed corn by the bucket loads. The little ones will bite near everything. The big ones will stick to what has kept them alive their whole lives, that’s corn. For those of you who like a challenge, use artificial baits. Senior John Adams is an avid trout fisherman. “I caught an 18 inch brown trout out of my secret honey hole last year.” When asked about his spot, he said he would have to kill me if he told me. When it comes to trout, their numbers are depleted throughout the season, so the old baits really do the job. We all know, with age comes wisdom. So over an old fish’s lifetime, it has seen all the tricks of the trade and won’t bite. When the trout are stocked, they are new and new to the old-fashioned baits, so they should get the job done. Panther Martin spinners, dare devil spoons, flies. Anything that looks like an easy meal, the fish will more than likely bite on it. These baits take skill and practice to work efficiently. To make a spoon look like a real fish on its last breath, or a fly that flew too close to the water and it’s struggling to get into the air before it is inhaled by the ultimate predator takes practice. But with dedication, it should come quickly. For more information about trout season, which begins this Saturday in our area, visit the Pennsylvania Fish and Boat Commission.